If you are having a hard time in getting your car loan approved due to some past credit blemishes, Speed Credit will be able to assist you in financing your dream car through our in-house car loan service in Singapore. Let us help you with your financing needs and give you the best in-house car loan package that is based on your budget and needs. Our in-house car loan service aims to help those with compromised or no credit records who are usually deprived from getting a car finance through the traditional banking channels in Singapore. What is also good about our in-house car loan service is it offers a faster and more efficient loan process. Apply for an in-house car loan today. We will notify you within 1 working day regarding the status of your in-house car loan application. Once your in-house car loan application is approved, our car finance specialist will contact you for further instructions. Loan applicant should be 21 years old and above. Loan applicant’s minimum income should be S$30,000 or 4x higher than its monthly loan installment. Our in-house car loan interest rate starts from 3.88%. 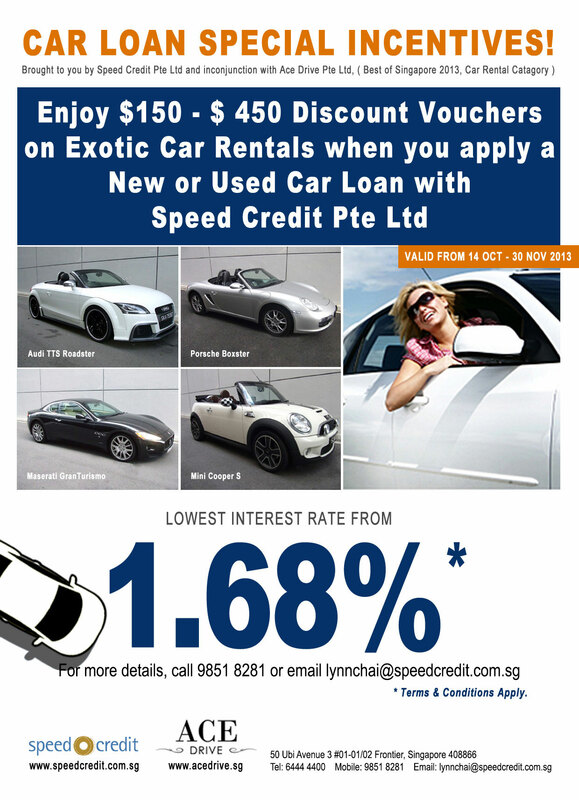 For more information about our in house car loan service and rates, you can contact our friendly car finance specialist, Lynn Chai at +65 9851 8281.